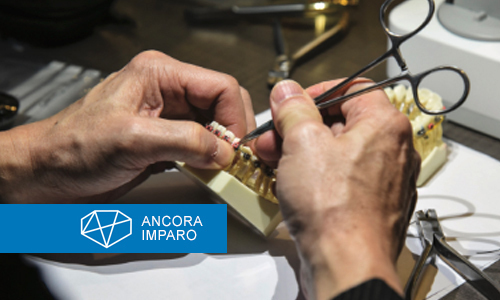 Following the success of this course in Malaysia and Singapore, Ancora Imparo is proud in continuing to bring you Dr. Kenneth Lew and his highly sought after orthodontic program. This 1 - 2 year program’s main focus is to educate general dental clinicians on integrating orthodontics into their daily discipline. This course will help general practitioners, who usually make up the first line of contact with patients, to proactively diagnose and treat simple to moderate orthodontic cases. Furthermore, it also provides participants the knowledge required to identify complicated orthodontic cases and thus allow earlier intervention by orthodontists to achieve a successful outcome. The aim of this comprehensive basic course is to increase your knowledge in the science and techniques of orthodontics thus allowing better management of your patients either for treatment of malocclusion or as an adjunct to improve the occlusion in other parts of dentistry in your practice. The course consists of 2 parts to be conducted over a period of 1 - 2 years. The first part involves 4 modules with each module held every 3 months. During the progress of these 4 modules, participants are advised to select 2 cases for presentation, to continue with the second part of the course. The second part involves a mentoring program with experienced orthodontists. They will continue to provide guidance and knowledge to the participants on their cases over a period of 4 sessions, which will be held every quarterly over the second year. Participants are also able to retake any of the modules to ensure that they have the requirements to improve their knowledge and skills in orthodontics. A renowned consultant orthodontist will be conducting the course. This course is designed to cater ideally to dentists who have an interest in the discipline of orthodontics. Hands-on training in a live seminar format with an instructor lecturing the material as well as teaching you the hands-on. Mentoring program with trained experienced specialists to provide further guidance in the cases. This will enable the participants to receive the highest level of understanding and success in managing their orthodontic patients. Fixed Appliance versus clear aligners - How and when to decide on choice? The great debate - To extract or not to extract? Always embracing new technology, Dr Kenneth Lew offers his patients a variety of braces systems. He is a well-known Invisalign Orthdontist who has treated many Invisalign, from simple to complex. Dr Kenneth Lew is able to treat complex Invisalign cases without extracting teeth. When you visit us, ask Dr Kenneth Lew how he aesthetically corrects Anterior Open Bites without teeth extractions. 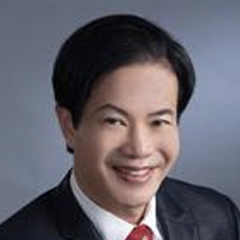 Dr Kenneth Lew, is named in the International Who’s Who (USA) as a ‘dental expert in the field of esthetic dentistry and orthodontics’, and has more than two decades of clinical experience treating orthodontic and dental patients in Singapore and Australia, where he obtained his Masters in Orthodontics.